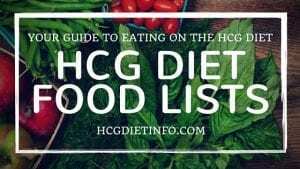 What is “Loading” on the HCG Diet Plan? The loading phase, or Phase 1 of the Hcg Diet begins with a 2 day stretch where calorie dense foods are consumed to satisfaction. The purpose behind this is to raise the fat stores in the body in preparation of Phase 2, the 500 calorie/day phase. Hcg is taken on loading days, and continued through Phase 2. During these two days, the Hcg is building up in your body until it reaches full strength on the third day and can effectively release your fat stores to be consumed during the low calorie diet. This phase is extremely important, and one that proves to lead to early and dramatic weight loss within the first week. 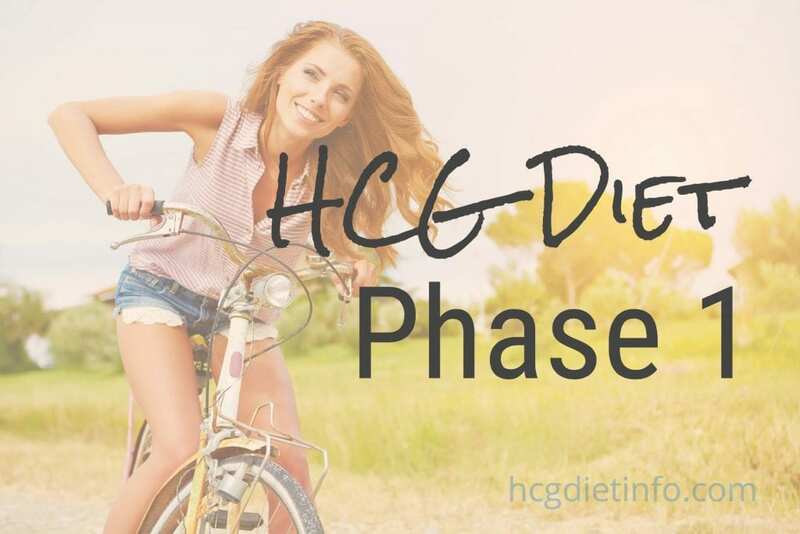 Read more about What is Phase 1 Loading on the Hcg Diet Plan. The loading phase (P1) is extremely important as it allows the Hcg to release the fat stores for use in the body. This satisfies cravings and food addictions during the transition period as the dieter begins the 500 calorie a day phase (P2.) Individuals who do not follow the 2 day loading phase, tend to have stronger cravings and more challenges during the first few days of P2. They also tend to have lower loss rates during the first week of P2. How one loads on Phase 1 of the Hcg Diet is as important as loading itself. First, select a day to begin that is preferably NOT close to the time of your menstrual cycle if you are a woman. 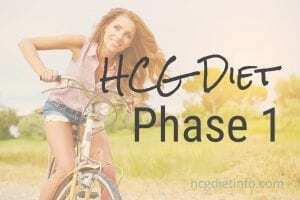 Begin taking Hcg on day 1 of Phase 1, Loading. It is important to choose foods eaten on P1 carefully. Select foods that are 1. Foods you crave regularly, so you get these out of the way and avoid temptation in P2. 2. Foods that are fat calorie dense. Loading gains can sometimes be minimized by concentrating on healthy fats, but staying mostly low carb. An average load gain is about 1-3 pounds. This load gain will usually drop after the first low calorie day. 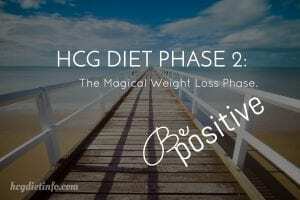 Read more about how to do Phase 1 and load on the Hcg Diet Plan. Can I load for 3 days instead of 2? Yes. A 2 day loading period has been shown to be successful, however some Hcg Dieters do choose to load for 3 days. Dr. Simeons would sometimes put patients on a 7 day load, according to the Original Hcg Diet Manuscript, but only those that had been eating low fat for a very long time. Nearly all Hcg Diet experts now recommend the 2 day to 3 day loading period. 2 days is sufficient in most cases. IF you do not feel one of your loading days was completed successfully, you can choose to add a 3rd day. Hcg would be taken each of the 3 loading days. Loading gains can sometimes be minimized by concentrating on healthy fats, but staying mostly low carb. This will usually drop after the first low calorie day. Loading is a time to focus on fat and calorie dense foods. It is not a time to go heavy on carbs, although carbs are ok. Just focus on getting healthy omega fats to your fill. Common loading foods include bacon, eggs, sausage, cheeseburgers, avocado (yum, guacamole,) milkshakes, baked potato with butter, cashews, chicken thighs, steak, more butter, salmon, peanut butter, cheese, cheesecake and ice cream. See our Loading Foods List here. What if I lost weight while loading? If this happens because you didn’t eat enough, it is acceptable to add a 3rd day, and really focus on fat dense foods as listed above. (But it is not unusual to lose during the gain.) If weight is still lost, this is ok and it’s time to continue on to Phase 2. If loading is done correctly, it is almost always guaranteed to cause a gain – which melts off in the first few days of Phase 2, the weight loss phase. If you lose during loading even though you have eaten really well, just move on to Phase 2 on day 3 and be happy for your head start. How much weight gain is acceptable while loading? There is no rule of thumb for how much weight gain is acceptable during the loading phase (P1.) In fact, this is not a time to worry about weight. Whatever is gained during this period, will come off, plus more, during the first week of Phase 2. An average load gain is about 1-3 pounds. How fast do you lose loading weight in phase 2? Everyone is different, and no single Hcg Dieter has the same exact results or experience as another. However, as a general rule, most dieters lose around 8 to 12 pounds in the first week (counting load weight), and very often, more. Sometimes dieters will happily lose their whole load gain plus a little more after the first day. Much of this weight loss is water weight, but some is actual fat which can be measured using a proper fat scale. (Caveat: impedance body fat scales are notoriously inaccurate, but can show the trend.) These are available at your local home goods stores or on Amazon: body fat scales. How to properly load on the Hcg Diet: Have whatever you’d like, but focus more on fats (preferably healthy fats) than proteins, sugars and carbs. 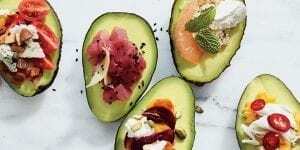 Be sure to give your body as many healthy fats as you can; Avocado, salmon, and nuts are great sources of the desired healthy omega 3 fats. Animal fats and dairy are also encouraged because of their healthy omega 6 fats. Break out the guacamole and cheesy chicken dishes. Have butter on your salmon. Just remember, it’s also a great time to increase that water intake and get excited about the next phase results. During this phase, it is important to continue with your current exercise routine (approved by your doctor, of course.) If you are new to exercising, now would be a great time to take up a new light impact, low intensity routine before building up to more. This should include daily movement of at least 20 minutes a day. Brisk walking, yoga, stretching, light resistance training, swimming, pilates. 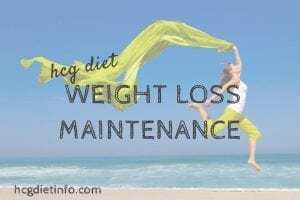 The goal here is not necessarily fat burning or calorie burning, but creating a healthy habit for future weight maintenance as well as countless other health benefits.. Read the complete guide to Exercising on the HCG Diet on HDI. Dr. Simeons does not offer great details about the loading phase, but as time has progressed we can easily understand the why, the benefits and the rationale behind his idea of loading with food for 2 days before beginning Phase 2 of the hCG diet. Society today is a carbohydrate-heavy, processed-food nation. This is unlike during Dr. Simeons time, when food was cooked vs. opened out of a box or ordered at a drive-thru. The Hcg Diet loading phase prepares you to transition from this type of eating. The benefits to loading helps your body ease from carb burning to fat burning, lessens your Hcg diet challenges and prepares you to eat a diet of 500 calories and limited foods as Phase 2 has is very strict on food choices. Hcg dieters that choose to eat Phase 1 foods that are rich in fats and low in sugar carbs have an easier time turning on their fat burning switch and experience the least hunger during the first few days of Phase 2. Another discovery amongst Hcg dieters is choosing fatty foods lessens the Hcg diet challenges of food addictions and withdrawals. The brain and the body can run on carbs, protein or fat, but because carb are a simple, quick form of energy, the preference for fuel is carbs. As an example, some Hcg Dieters experience headaches during the transition into Phase 2, if they did not properly loading during Phase 1. The reason for this is because fat and protein take longer to break down into a simple carb chain thus the body reacts by giving some a pounding headache. Depending on how carb-heavy an individual’s diet was prior to the Hcg Diet, and if you did any diet cleanses prior to the diet, the worse the headache, or other symptoms of food addictions, can be. Start with high quality, high potency Hcg from the start so your Hcg doesn’t need to be reordered shortly after beginning Phase 2. Choose a good amount of your favorite foods, including comfort foods and foods that may be craved during the first week on Phase 2. Choose calorie dense, fat heavy foods with as many omegas as possible. Have your fridge stocked with foods you will need for Phase 2 so you are ready to go. Enjoy yourself! This is a time to not worry, feel guilt, or experience anything other enjoyment. Bon appetit!